Scott McCarthy, 28, is a life long Brighton and Hove fan. On Saturday his beloved Seagulls could win promotion to the Premier League. Here Scott, who lives in Burgess Hill, writes about the ups and downs of being a Brighton fan since Robbie Reinelt scored the most important goal in the club’s history. “Nineteen years ago on May 3rd 1997, Brighton and Hove Albion were 90 minutes away from dropping out of the Football League and in all probability, out of existence. 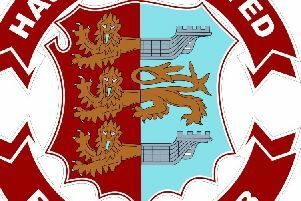 They needed at least a point away at Hereford United – the side immediately below them in the table - in what was in those days the only relegation spot into the murky waters of non-league football. Brighton-born Kerry Mayo gave Hereford the lead with an own goal in the first half. The packed away end at Edgar Street was not a good place to be at that time as we were staring into the abyss. Thankfully, Robbie Reinelt popped up with an equaliser which, no matter what happens over the course of the next 100 years, will certainly remain the most important goal in Brighton history. Being a nine-year-old Brighton fan was in those days about as fun as a package holiday to Syria. “Who do you support?” “Brighton”. There was no money and the club didn’t even have a home ground which meant making a delightful round trip to glamorous Gillingham for two seasons. Having no money meant that the club were desperate to get cash in any which way they could. While all my friends were using their pocket money to buy Pokemon cards or whatever the fashion among kids was in those days, I saved up a years’ worth to sponsor the aforementioned Mr Reinelt’s kit for the 1997-98 season. In return for that investment, you got a signed football and a photo on the Priestfield pitch with your player. Robbie obviously took pity on me as he threw in a pair of his boots as well. There have been plenty of ups and downs over the near-two decades that have since passed. 12 years playing in a “temporary” home at Withdean in which you needed the Hubble Space Telescope to see the opposite goal from the away end which was due to the athletics track around the pitch set in a different postcode to the rest of the ground. The battle which was eventually won to get The Amex built. Four promotions, three championships – my favourite of which being the last under Gus Poyet when a stylish and attacking team sauntered their way to top spot - and two relegations. And now we stand on the brink of the Premier League which, even a year ago seemed like an impossible dream. Brighton staying up in 2014-15 was pretty much purely down to the fact there were three worse teams in the division. A win at Middlesbrough and it will be Manchester United and Arsenal rather than Rotherham United and Wigan Athletic next season.